Friday’s World AIDS Day event in NYC was an exciting moment in New York State’s effort to end our HIV/AIDS epidemic by 2020. New HIV diagnoses in New York State have decreased to historic lows and we have demonstrated major progress toward achieving our ETE goals. All of you are part of this progress! In honor of World AIDS Day, I’m asking YOU to make calls to State and federal representatives this week so that we can get to the finish line and end New York’s AIDS epidemic. 1. 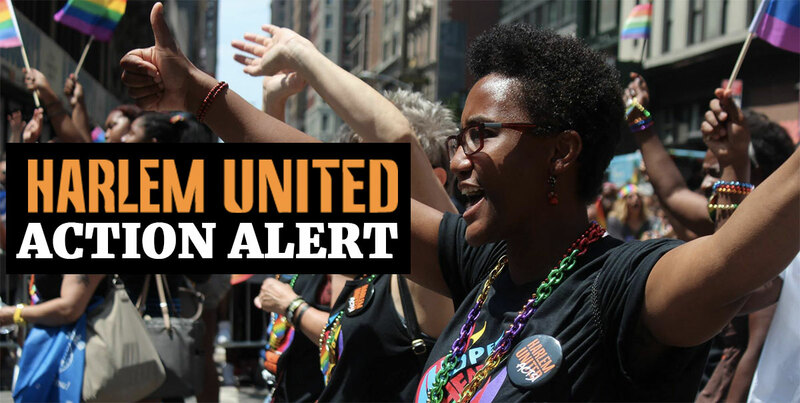 Call Governor Cuomo and Commissioner Roberts to ask them to increase access to rental assistance for people living with HIV outside of New York City. Governor Andrew M. Cuomo: Call Gov. Cuomo at 518-474-8390. Listen through their option menu and press 2 to speak to an aide. You can also try calling the Counsel at the Governor’s office at either 518-474-8343 or 212-681-7753. OTDA Commissioner Samuel Roberts: Call Commissioner Roberts at 518-408-3847 or the general OTDA number at 518-473-1090. Email: nyspio@otda.ny.gov. Thank Governor Cuomo for being a national leader in the fight to End the AIDS Epidemic (ETE) and call on the Governor and Office of Temporary and Disability Assistance (OTDA) Commissioner Samuel D. Roberts to expand access to rental assistance for people living with HIV who live outside NYC. An estimated 3,700 New Yorkers with HIV who reside outside of New York City are homeless or do not live in a stable housing environment. This poses a formidable barrier to retaining them in care and providing access to HIV treatment that leads to viral suppression. 2. Call U.S. Representatives to let them know you oppose congressional efforts to pass a tax plan that takes away health coverage from millions of Americans to give tax cuts to the wealthy. Call New York State Members of Congress Katko, Tenney, Reed, and Collins, who voted for the House version of the tax bill, and tell them to consider the devastating impact of that vote on their constituents. The bill will severely set back ETE efforts in New York State. The proposed tax plan would repeal the individual mandate and make health care unaffordable for anyone who needs health care. The Senate bill will also add more than $1 trillion to the national debt, resulting in spending cuts on programs like Medicare, Medicaid, and Ryan White, which are vital to millions of Americans, including people living with HIV and any other chronic condition. So please make those calls today and every day this week! Comment below if you are making the calls and/or to tag a friend that will join us in the effort. Thank you all for doing your part to end New York’s HIV/AIDS epidemic and save health care. No Replies to "Time-Sensitive HIV/AIDS Call to Action!"